An fun Rubik's cube game with many levels and modes of play. The more your play, the more you will improve your skills in solving the Rubik's cube. The cube responds multitouch gestures, such as pinch, unpinch and dragging and behaves just like the real thing. Version 1.1 - Added Save / Load function. 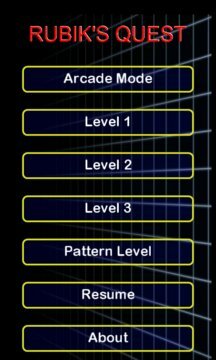 Version 1.2 - Added Free Play, Level 1, Level 2, Level 3 and Pattern Level. Version 1.3 - Additional levels and support for French, Japanese and Spanish. Version 1.4 - Additional levels and support for Greek, Italian, Russian and Chinese (Traditional). Crash fix. Version 1.5 - Additional levels and support for Chinese (Simplified), Indonesian, German. Save/Restore fix. 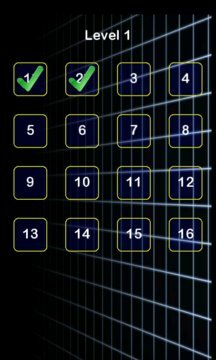 Post feedback and suggestions at http://www.rubiksquest.com.